How much is the Rolex Submariner 5512 worth? What is the Rolex Submariner 5512 worth? 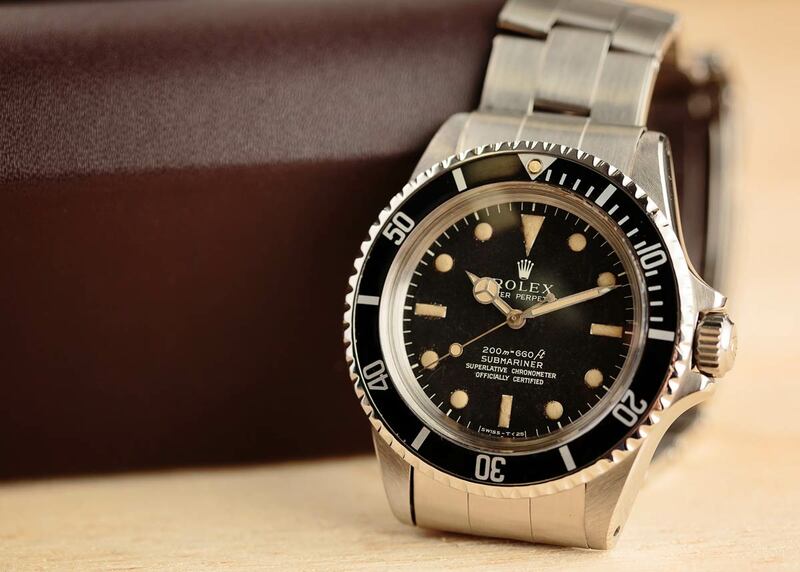 An iconic model within Rolex’s archives, the Submariner 5512 was in production from 1959 until the late 1970s. 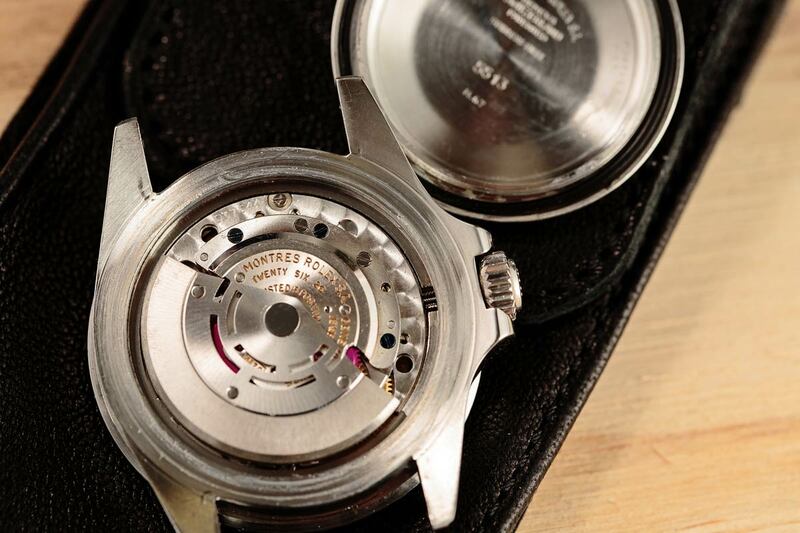 During its 20-year production run, the Submariner 5512 underwent several enhancements such as modifications to the crown guards, caliber changes, and dial updates. Today, there’s a robust market for the Submariner 5512 among vintage Rolex watch collectors and as a result, their values are on the rise. However, there is a myriad of factors that determine the current value of the Submariner 5512. 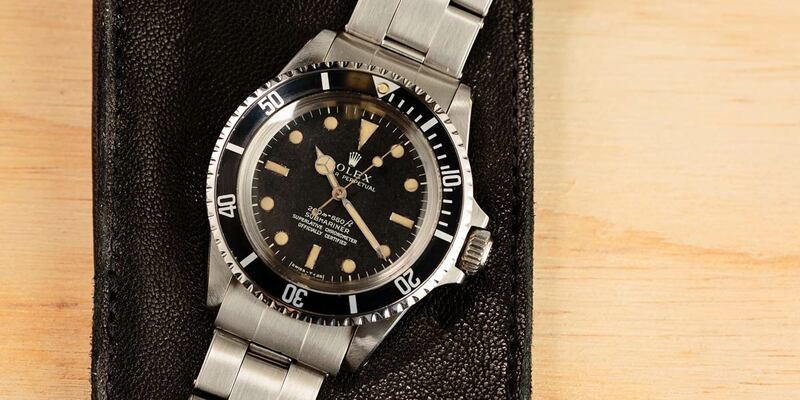 The Rolex Submariner 5512 is a great watch with a lot of history behind it. Although the vintage Explorer ref. 1655 goes by the nickname, “Steve McQueen,” that is not the Rolex watch the actor wore. The King of Cool, in fact, wore a Submariner 5512 as his daily watch. And in 2009, auction house Antiquorum sold Steve McQueen’s Submariner 5512 for a record-breaking $234,000—the highest price paid at auction for a ref. 5512. It goes without saying that the provenance of the watch was a huge factor in the final sale price of this Submariner 5512. There is a huge range on the Rolex Submariner 5512’s value. To better understand the value of the Submariner 5512, we have to look at how the model differed over the course of its history. Take for example the crown guards. When the model first came out it had square crown guards, followed by pointed crown guards and eventually the rounder crown guards we’re now familiar with. The dials of the 5512 also evolved over its manufacturing run. Early models of the Submariner 5512 were equipped with non-chronometer certified movements, therefore did not include the ubiquitous “Superlative Chronometer Officially Certified” text on the dial. These versions are referred to two-liner Submariner 5512 since their glossy black dials only have two lines of (gilt) text. Once the Submariner 5512 was outfitted with chronometer-rated Caliber 1560 (and later the Caliber 1570), the dial then became a four-liner Submariner 5512 because it included the SCOC designation. The four liner editions were first available with glossy dials with gilt text, followed by matte black dials with whited printed text. There are many iterations of the 5512 for its many updates. As expected, early examples of the Submariner ref. 5512 typically have higher values than later models. The most coveted are the earliest examples that come with square crown guards. These are exceedingly rare since it’s estimated that the square crown guards were only available on the 5512 for less than a year. In 2013, Christie’s sold a ref. 5512 with square crown guards for just over $200,000. The next most valuable versions of the Sub 5512 are the ones with pointed crown guards. In 2016, Phillips sold a 1961 Submariner 5512 with two lines for $54,307 while in 2017, Christie’s sold a 1962 Submariner ref. 5512 with four lines of text for $47,929. Good news for fans of the Submariner 5512 is that later models from the 1970s are substantially less expensive than older versions. The price point for Submariner 5512 from the 1970s with rounded crown guards, Caliber 1570, and a matte black dial with white print hovers around the $15,000 mark. It some cases, beautifully preserved examples with boxes and papers and can reach up to $20,000. Although the dials are slightly more contemporary, the later editions of the 5512 still offers an undisputable vintage vibe thanks to its domed acrylic crystal. Plus, many versions will have patina on the indexes and hands due to aging and sometimes, the black bezels will have turned to a greyish color due to fading. As interest in the vintage Submariner 5512 increases and more people realize that it’s much rarer to find than its ref. 5513 (non-chronometer) sibling, it’s safe to say that its value will also continue to rise too—at least for the foreseeable future. But like all vintage Rolex watches, it’s not just the year and design details that make a difference to the bottom line, but condition and provenance play a big part too. What are your thoughts on the Submariner 5512? Do you like it? Do you think it’s fairly valued in today’s market? Sound off in our comment section below.